Fragment is a science fiction eco-thriller book set in a future where the world is even more oblivious to the consequences of climate change. It opens up when a huge iceberg, the Fragment, detaches itself from the Antartic ice sheet and starts drifting toward South America. 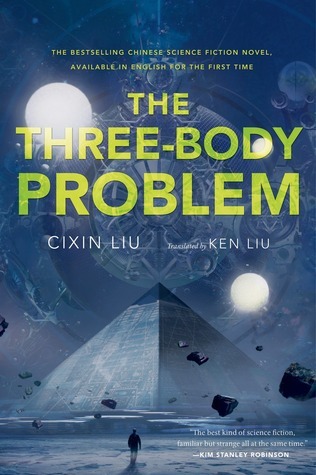 The book follows how this event impacts the life of several characters including a trio of scientists who were working on scientific base located on the Fragment, a journalist who desperately wants to figure out what the hell is happening, soldiers, the captain of a ship and, most importantly: Ring, a blue whale. The cast of characters is pretty big considering the length of the book (about 200 pages) which was both a quality and a weakness. I really liked how it allowed me to see how this event could impact people on several levels and how they reacted to it. Indeed, for the scientists who spent years of their lives trying to prevent such an event, the fall of this iceberg is a disaster. They know it’s going to cause the death of thousands of people if the world doesn’t react to it. However, we also follow people who couldn’t care less about it as long as it doesn’t affect their country or their life directly. For example, we got several scenes featuring the President of the United States and we can see how he wants to use this to advantage to be reelected and that he doesn’t really care about anything else. Even if I enjoyed all the POVs (my favorite was without a doubt Ring, the blue whale), sometimes the jumping around was a bit too much. Each scene tend to be quite short and, by the end of the book, I didn’t feel like I really knew any of the characters all that well. However, I still enjoyed the book quite a bit, I tend to really like climate fiction books, it’s always fascinating to see the consequences of climate change. It’s also one of those few books that manages to deal with a lot of ideas in such a short length. The more I read, the more I realized how much I like short books. When I first started reading , I was all about those huge tomes but right now, I tend to appreciate more a concise story (it might be because I read so much short fiction) or because I don’t have a lot time to read theses days). My favorite thing about this book were the parts involving the whale and how the scientists managed to communicate with him. I never thought reading from the perspective of a whale would be that cool to be honest. I really liked how the scientists were able to convey very human concepts in a way that would be understandable to another specy and how important it was for the story. 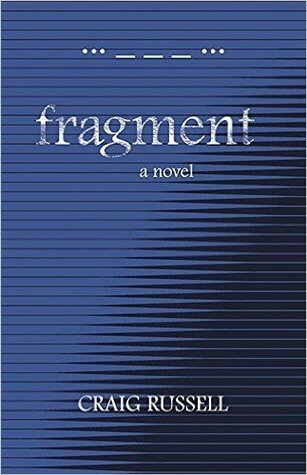 I would definitely recommend Fragment if it sounds interesting to you. If you want to get into climate fiction, it would be a great one to start with, it’s not as intimitating as New York 2140 for example. It’s quite fast-paced but it still manages to deal with very important issues. On a remote, icy planet, the soldier known as Breq is drawing closer to completing her quest. Once, she was the Justice of Toren- a colossal starship with an artificial intelligence linking thousands of soldiers in the service of the Radch, the empire that conquered the galaxy. Now, an act of treachery has ripped it all away, leaving her with one fragile human body, unanswered questions, and a burning desire for vengeance. I have been meaning to read this book for years now but I was oddly afraid that I wouldn’t like it. However, Ancillary Justice has been recommended by quite a few people who know what books I like so I decided to finally take the plunge during Sci Fi Month. (Yeah I know this review is going up after Sci-Fi Month but I read the book during the month of November, so it still counts!). 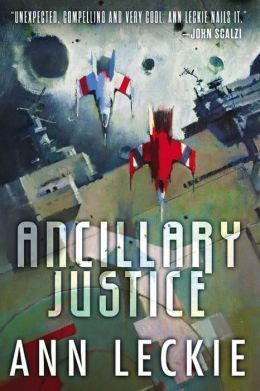 Ancillary Justice follows Breq, an ancillary, a body controlled by the AI of a spaceship. In this world, a ship can control thousands of those ancillaries, bodies taken from the victims of the Radch’s annexation. For thousands of year, Breq was attached to Justice of Toren, in fact, she was Justice of Toren as well as all the other extensions of the ship. Think of ancillaries as part of a body, they each have their functions but they form one entity. Twenty years before the opening scene of the book, Breq was betrayed and violently separated from Justice of Toren. She is now a rogue ancillary determined to end the people who deprived her of her ship even if it means ripping apart the entire empire. However, how do you destroy a society when its leader has thousand of bodies and you are alone and presumed dead by everyone? Ancillary Justice was all the rage in 2013 and 2014 when I was just starting to get into science fiction. At first I was intimidated by it because of all the praises it had for its originality, its complexity, ideas and for how it portrayed gender. In a lot of ways, I agree with the praise, I never read anything quite like it and I was definitely impressed by quite a few things. The worldbuilding and the history of the Radch were fascinating and I was pulled into the story very quickly. However, I don’t necesseraly think that it’s one of the best science fiction book I ever read. Mind you, I do think it is indeed quite good but it still had definite debut-book flaws that prevented me from entirely loving it. My issues were oddly with the two elements that made the series blew up as much as it did: the way it treats gender and the narration style. Breq is Radchian, her society doesn’t follow your typical gender norms, indeed, in her society, people use the same pronouns for everyone and gender doesn’t really exist. Because of that, Breq automatically use female pronouns for everyone, regardless of the fact that in their society, they might be adressed in a different way. When she speaks other languages, she struggles to pick what is considered the right pronoun in the specific society because she cannot associate any elements to a particular gender. That makes it, in theory at least, quite interesting to try to associate a gender to a protagonist. Indeed Breq will automatically use a female pronoun while other characters might use another pronoun for the same character. For example, a character that was referred as a “she” by Breq for several chapters was adressed as a “he” by other characters that were not Radchian in the rest of the book. A lot of people were fascinated by this element but it didn’t work for me as well as I hoped. I don’t tend to picture characters in my head while I read so the gender’s switch never changed my perspective on certain characters. I don’t associate a behavior with a gender so I didn’t search for any clues to guess if a certain character was male or female either. By default, I vaguely thought of all the characters as female and when those characters were suddenly adressed as males, it didn’t change the way I perceived them. I like the idea in theory but the execution felt more like a gimmick than anything else. This book is also composed of several chapters narrated by Breq when she was still a part of Justice of Toren. Because of the fact that she had a lot of bodies in those chapters, the narration jumps around between the various bodies of Justice of Toren. I thought the idea was quite interesting but in most cases, it just felt like an exercice in writing and at other times it made it harder to follow what was going on. Indeed when it occured during during certain scenes where characters were having important discussions, the jumping around made it a bit hard for me not to miss any important information. I did appreciate the attempt at doing something different, the ideas were intriguing but their execution wasn’t always the best in my opinion and I sometimes thought Leckie privileged the form over the actual content of the book. Indeed, if you only look at the plot, it’s actually a pretty straightforward revenge story. However, don’t take my critic too harshly, I still really enjoyed the book. I liked the structure and how it jumped between the two timelines. 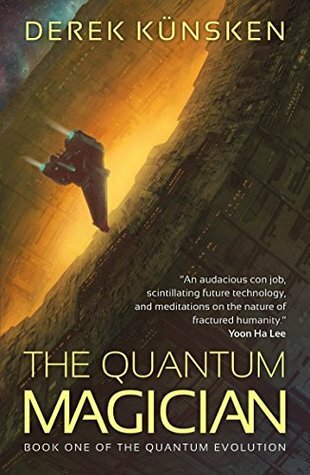 Breq’s character and how torned she was between her human emotions and her very AI logical thinking was fascinating to read about and I would recommend Ancillary Justice for that aspect. I will definitely read the next book and I’m intrigued to see if I still have the same issues with Ancillary Sword. “If you’re going to do something that crazy, save it for when it’ll make a difference, Lieutenant Skaaiat had said, and I had agreed. I still agree. Anyway, here are the books I read last month! I really wanted to read this one but I really wasn’t enjoying it, each time I tried to read it, it felt like a chore to me. I like the hard SF parts but I didn’t care about the story at all. The main protagonist of the second part really annoyed me, he was obsessed for no reason with a dead young woman and I just found him very creepy. I gave up on the book after the first scene taking place in the game because I was utterly bored and confused but not in a good way. I know my opinion is quite unpopular, I’m sure the story has redeeming quality but I already don’t have enough time to read the books I’m intrigued about so I’m not forcing myself to read this one. I didn’t know a lot about this one before going in but I ended up loving it! I plan on reviewing it this month, it’s definitely one of the best book I read this year. It’s a hard science fiction story set in a future where humans are genetically modify in order to survive in hostile environment or to be able to process data on a quantum level. It has quite a bit of sciencey parts in it but it is also a very fun and suspenseful heist story. I would highly recommend this little gem. I am pretty behind on my Goodreads challenge but, at this point, I’m not even bothered by it. I’ll do what I can to read but as always, college is my priority, not books (even if it’s frustrating at times). I am currently about a third into The Last Good Man by Linda Nagata and I am liking it even if it’s probably a bit too heavy for my current mood.